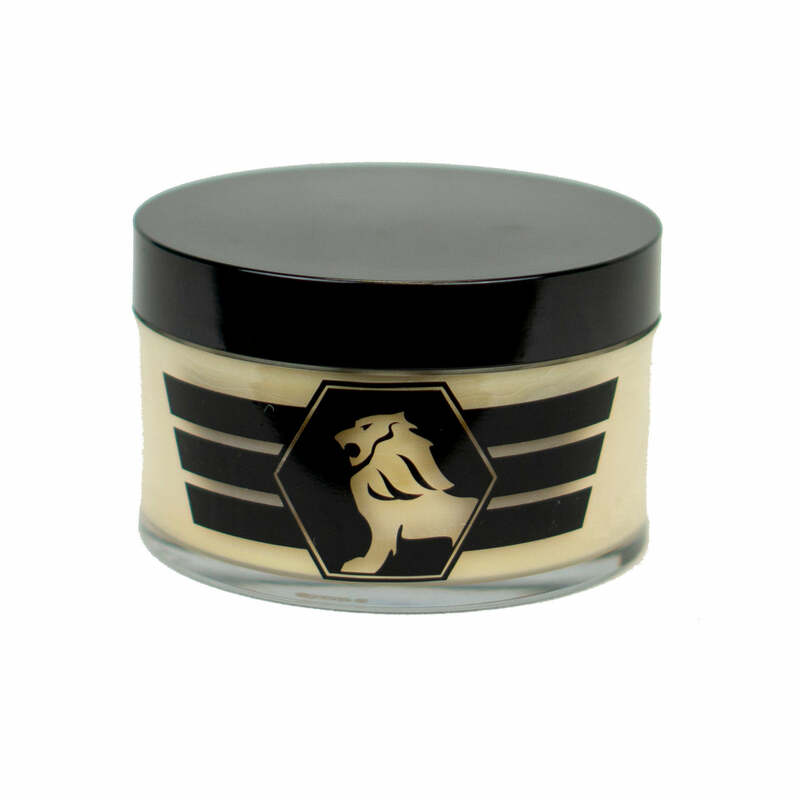 Vital Car Wash Soap is a unique handpicked blend that is designed to softly release dirt from the painted surface of your car while maximizing the protection that lies underneath. Its unique blend can be used in a traditional bucket or in a foam cannon that produces incredible suds. 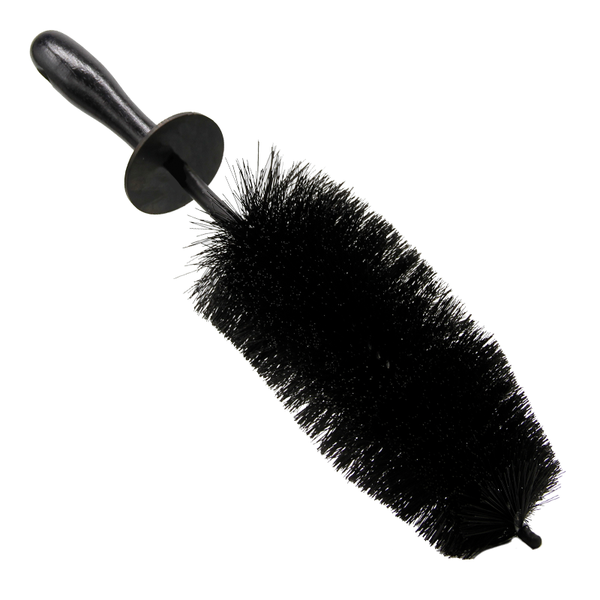 It is designed to softly release dirt while maximizing protection. Vital Car Wash Soap separates dirt from paintwork so that you can wash it away easily, without any risk of scratching. 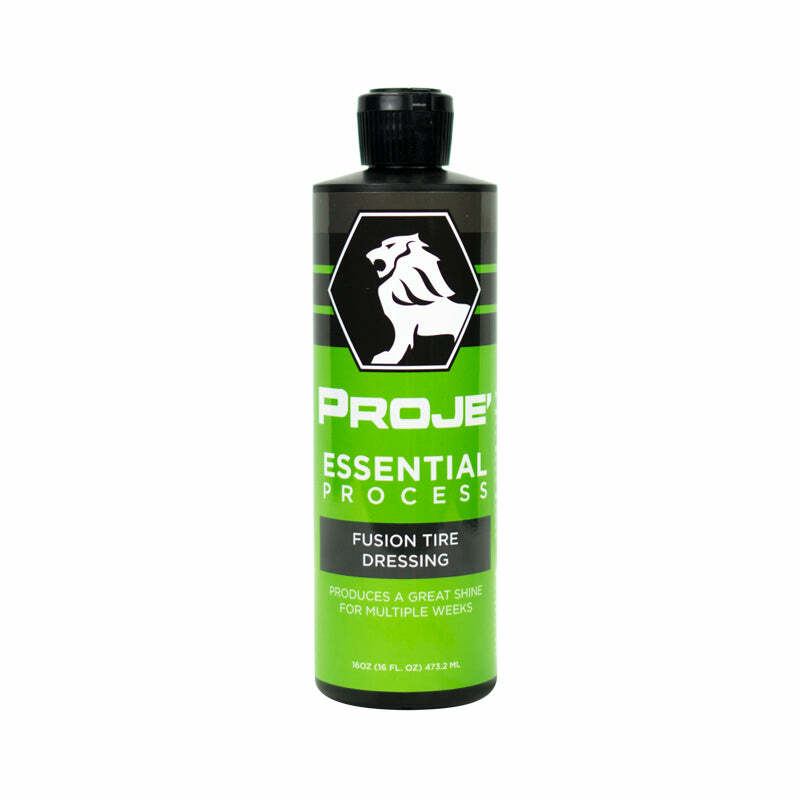 The suds and bubbles are formed as a result of a special pH neutral chemical reaction with water, which is tough on dirt and grease but will not damage any wax or sealant. Vital Car Wash Soap is a professional product designed not to leave any spots, swirls or streaks that a basic water solution can easily do. 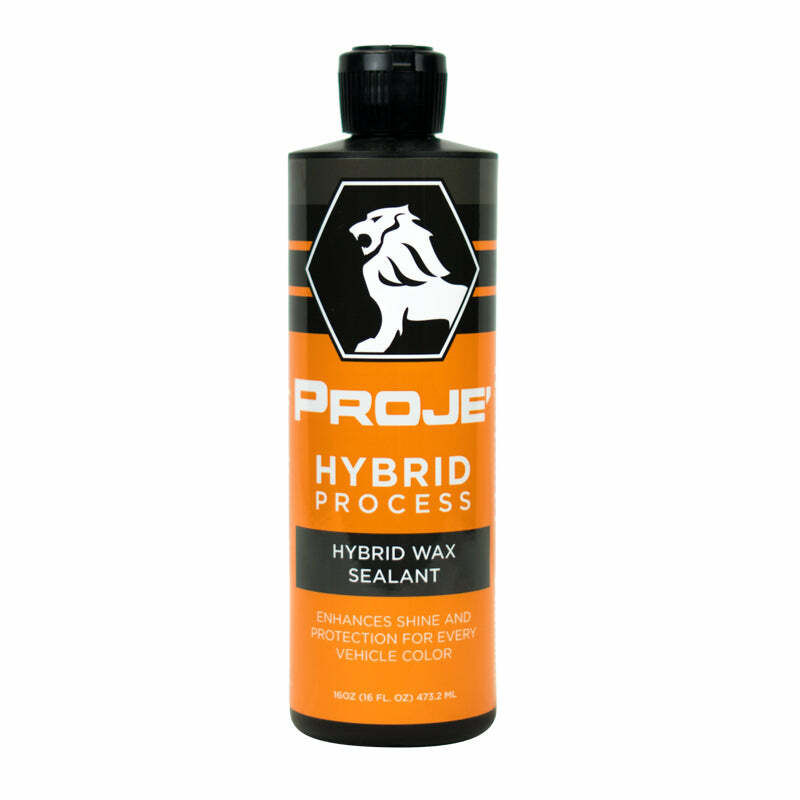 Its multi-purpose formula means that you can use it on all parts of your vehicle – not just the paintwork. 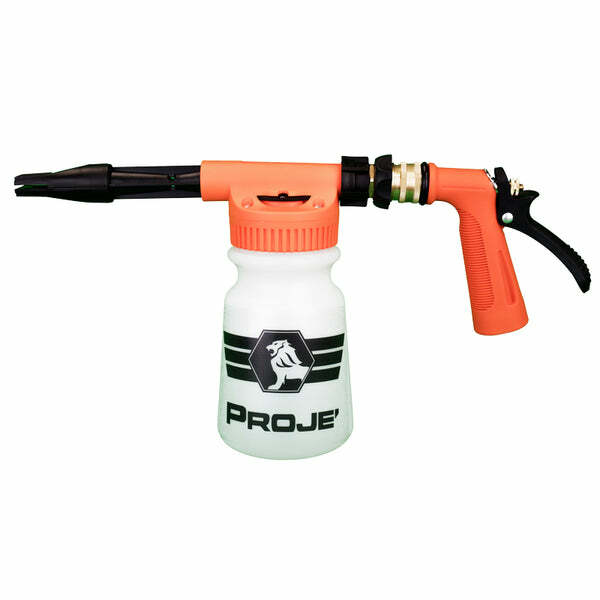 Use on glass, plastic and other surfaces for the same, super-clean effect. You only need 2oz. 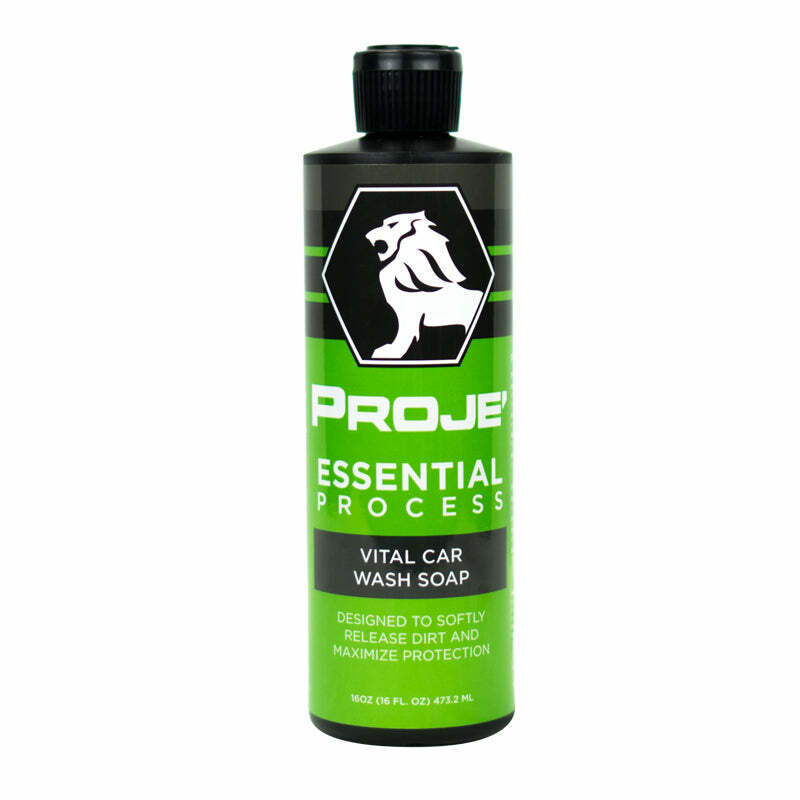 of soap to wash an entire vehicle, meaning that our 16oz. 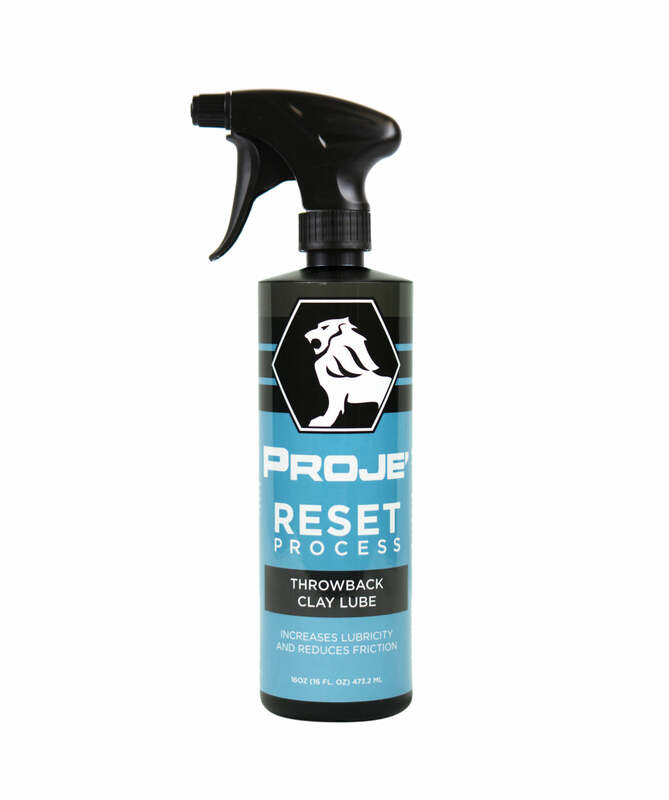 bottle will last for eight thorough, professional washes. If you wipe away dirt and then put your wash pad straight back in your soap bucket, you’re contaminating the soapy water with dirt, which will hugely reduce the effect of the cleaning solution. The two-bucket wash method ensures that you avoid this and get the cleanest possible finish. 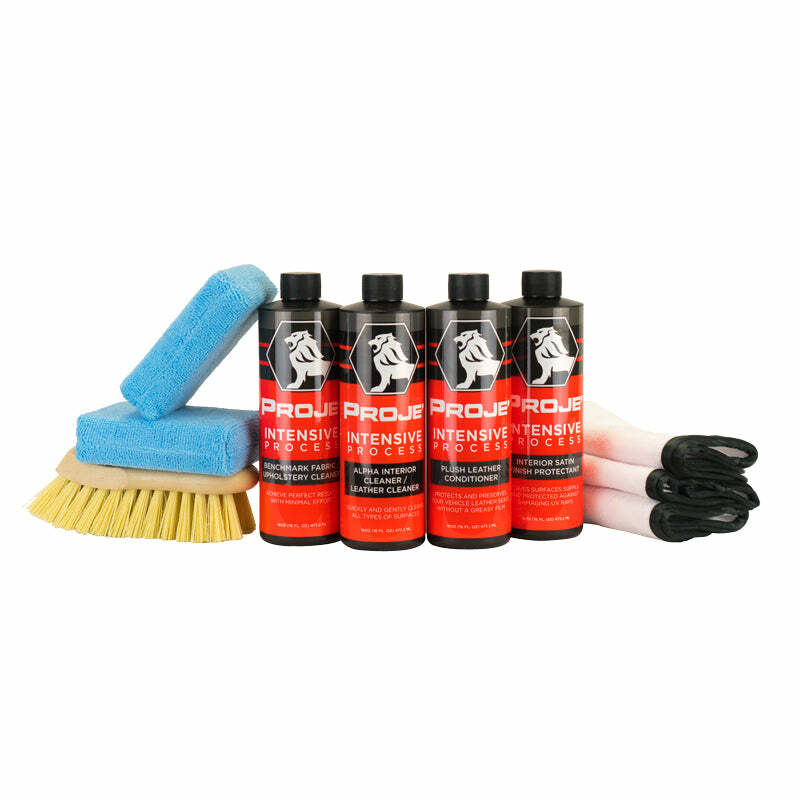 Ensure that you have separate buckets for water and the Vital Car Wash Soap solution, so that you can rinse your wash pad in the water before you put it back in the solution – you’ll see the whole process detailed below in the “How to Use” section. Step 1: Fill a bucket with 2oz of Vital Car Wash Soap for every 4 gallons of water – this distribution ensures that the maximum amount of suds will be created. 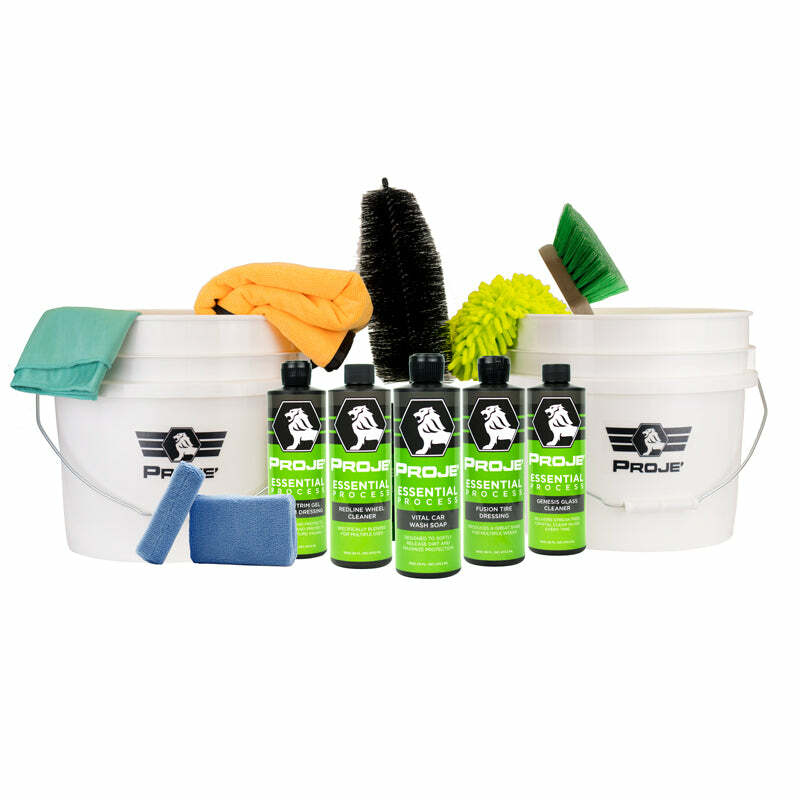 You shouldn’t need more than 3.5 gallons of liquid to wash all the dirt on your bodywork away – one of our 3.5 gallon pails will be perfect. 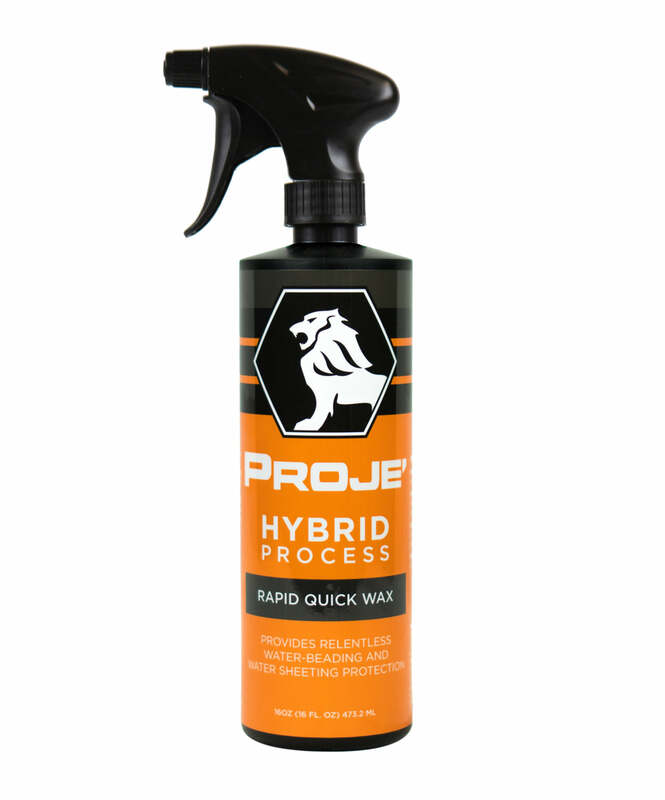 Use the Proje’ Bucket Grit Guard in your bucket before starting the cleaning process, so that all excess dirt is trapped at the bottom of the bucket and isn’t reintroduced in to the wash solution. Step 4: Now it’s time to wash the car using the two-bucket wash method. Rinse the car with fresh water first, then use the wash pad to wash the car from top to bottom. Wash in horizontal lines from top to bottom for even cleaning. 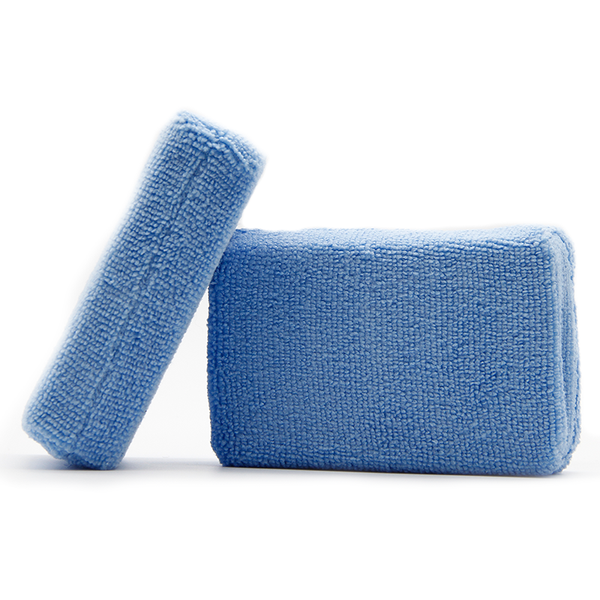 Our Chenille wash pad is super-soft and its micro fibers will remove dirt without damaging any paintwork, waxes or sealants, so while you don’t need to worry about rubbing too hard, you’ll also find that you don’t really need to as the Vital Car Wash Soap is extremely effective. Step 5: Each time you need to add more soap to your wash pad, first rinse it in the water bucket, so that there is no contamination of the soap bucket. 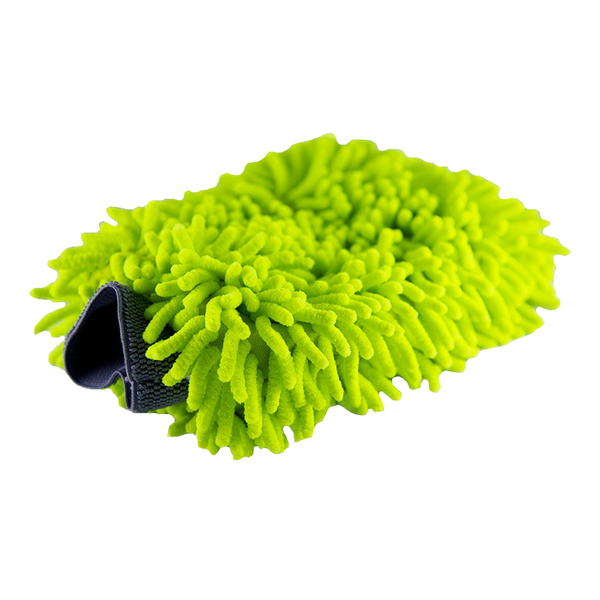 When you rinse your Green Micro Fiber Wash Pad, rub it directly against the grit guard at the bottom of the bucket to ensure that you completely remove any excess dirt or grit from the wash pad before putting it back in the soap bucket. Step 6: Once you have finished cleaning and rinsing, give your vehicle one more rinse and then use one of our 480gsm Big Giant Drying 25 x 36 Towels to thoroughly dry the paintwork. The high GSM of our drying towels protects against any swirl stains or scratches during the drying process.